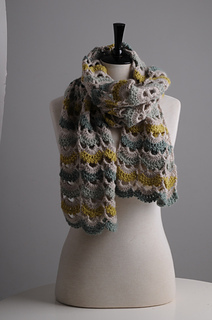 This scarf is beautiful and the colour palette works so well with it too. Although it is a lace pattern, it’s not difficult. So that the lace pattern flows down to each end I have worked it in two separate halves., working the second half from the base chain of the first half. 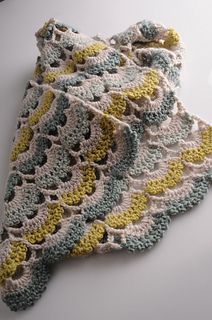 A little bit of experience crocheting is all you need to tackle it! A chart is included in addition to a written pattern.